The list of grand prizes to the Summit SuperSeries champions at the Summit World Finals at Memphis International Raceway is growing. Three-year International Hot Rod Association (IHRA) partner, Performax Trailers, will present the 2016 Mod World Champion with a new 28-foot custom created trailer during the October 20 – 22 season finale. Performax Trailers has presented the IHRA Mod champion with a trailer over the last three years and is excited to take part in the sportsman program again in 2016. “We market our trailers to racers, they are our core customer so it’s nice to be able to give back to them and help them celebrate their championship,” stated Ronny Young owner of Performax Trailers. “The grand prize is a custom built 28-foot trailer that is fully functional with a back door, side door, 6,000 lb. axel, aluminum wheels, LED lighting and a heavy duty flip down aluminum entry plate on the trailer ramp door. The interior is a clean slate allowing the champion to customize it to fit his or her needs on their own or with the help of Performax Trailers,” Young continued. Performax Trailers designs and builds small or large scale semi-trailers for customers around the country. They pride themselves on the ability to build any trailer based on the customers’ needs and preferences. The company will also redo existing trailers to client specifications. From government contracts to sportsman racers, Performax Trailers meets and exceeds expectations. The IHRA Summit SuperSeries is a combination of 100 IHRA member tracks within regional IHRA divisions. The competition is populated by Sportsman competitors, or ET Bracket Racers, who race throughout the year in hopes of making it to the Summit World Finals at Memphis International Raceway to compete for the championship. 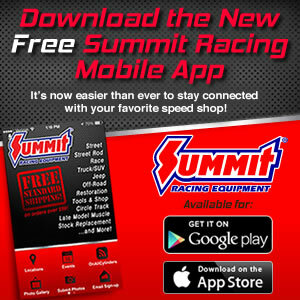 Racers qualify for the Summit SuperSeries World Championship by either winning the Summit SuperSeries track championship at their participating IHRA member track or by winning the Summit Team Finals main event in their division. To learn more about the IHRA, please visit www.IHRA.com or for additional information about Performax Trailers, please visit www.performaxtrailers.com.